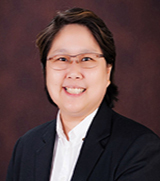 Associate Professor Somsak Mitatha, D.Eng. Associate Prefessor Amorn Petsom, Ph.D.
Assistant Professor Tanakorn Likitapiwat, Ph.D. Associate Professor Somporn Puttapithakporn, Ph.D. Associate Professor Namtip Wipawin, Ph.D. Associate Professor Wanida Kanarkard, Ph.D.
Assistant Professor Panita Surachaikulwattana, Ph.D.